Childhood is full of little moments that add up to big stories, especially while children are at play. Hop, Skip, Jump's primary color palette captures the pure joy of childhood. 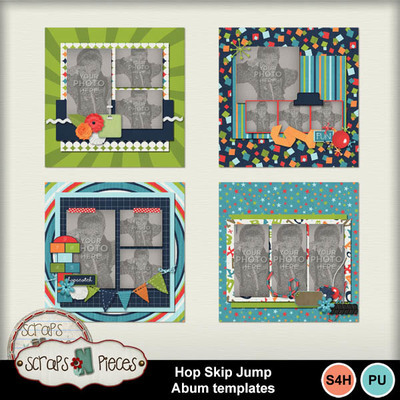 Grab this set of 4 coordinating album templates and then grab the kit or bundle for more fun.